Two nights ago I was bit by my ever-pressuring wizard bug. 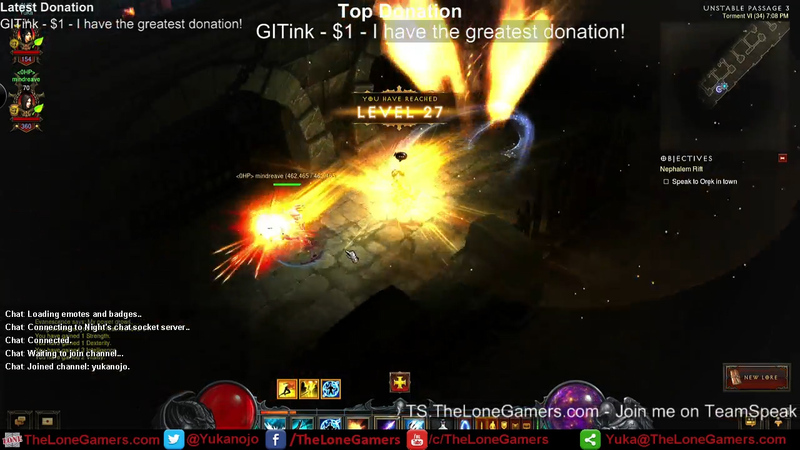 If you follow me, you know that I’m an avid wizard-class player in Diablo 3. I find it hard to not play a wizard. Season 2 started and I rolled a Crusader and played a crusader for the first hundred or so paragon levels. Then I rolled a Witch Doctor seeing it as a halfway point between not playing a Wizard and playing a Wizard. Something didn’t feel right to me. I just couldn’t take it anymore, so with less than two weeks in the season I opted to roll a new Wizard. I had a Gem of Ease so my goal was to run that as soon as I could equip it and then run the hardest difficulty that I could power through. 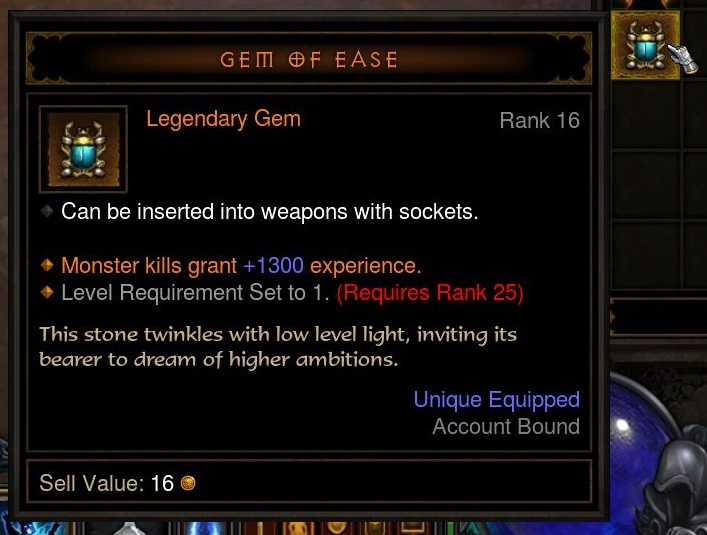 My Gem of Ease wasn’t rank 25 so I had to wait until about level 17 to find or craft or enchant a socketed weapon in which to equip the legendary gem. A little bit into my session, though, I noticed a clan mate who was running hard in the paint in season 2 was on, so I asked if he would power level me and he offered to do it properly – join a game that I started with difficulty set to Torment 6. By the time I got my hands on a socketed weapon, I was level 25. I gained 18 levels in 90 seconds! And from 25 to 70 took less than 35 minutes.